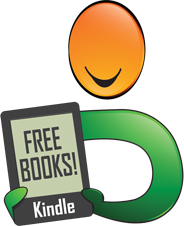 Kyri Demby, author, is a native Floridian, born and raised in Crestview, Fl. He is the middle child of seven children born to Linda Brown. Kyri began writing stories and songs at the age of thirteen. He received his Bachelor of Arts degree in Music Education as well as in Church Music from Bethune-Cookman University and also a Master of Education Degree in Educational Leadership from the University of South Florida. “Each one must reach one (or two or three)!” is Kyri’s belief about teaching and community service. 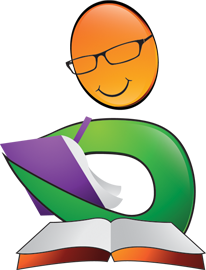 He is a mentor to many students as well as other professionals. 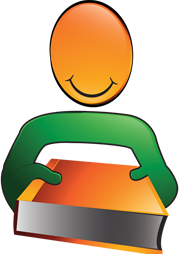 Kyri has written many stories and published several other books. . He has visited many schools, churches, and community centers teaching his playful parables and speaking to children. 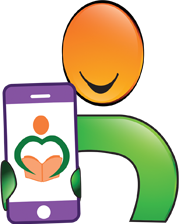 Kyri is the founder of Let Music Live Inc., "his pride and joy"; a community program incorporates music with drama. He believes that he is changing the world, one child at a time! 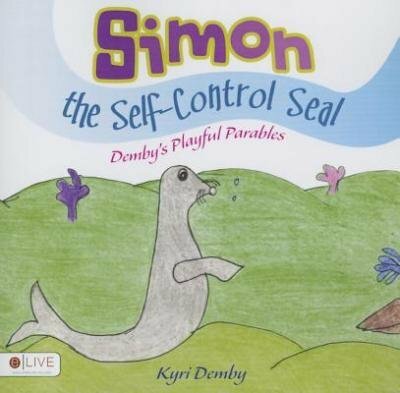 Simon the Self-Control Seal: Demby's Playful Parables by Kyri Demby is a cute little storybook for children. Simon the Seal is always making the right choices and doing the right things. He has a little trick which is a short song that helps him to maintain his self control and outstanding behavior. Simon is a popular student and whenever everyone calls his name loudly he sings his song. All the students dream of being like him. Will they be able to find out Simon's magic song and apply it to their lives? The story is charming and has a good message. The colorful sketches give clarity to the concept and also breathe life and movement into the scenes and characters. It's a good bedtime storybook and it is also good for read aloud sessions in classrooms and school libraries. The addition of song notes into the book is refreshingly original and readers can learn the song and incorporate it into their lives too. Simon the Seal is a lovable character and will remain in the hearts of young readers for a long time. Storybooks with a concept, message and moral are good for children and this book does just that. Children understand concepts and morals easily through story-telling, and Simon the Seal tells readers how to practice and achieve self-control during all situations in one's life. In case any of us are having troubles in life, it's good to apply Simon's trick so we end up always doing the right thing. Your presentation was simply “AWESOME”, the students, teachers and parents are still talking about “Stop think and Breathe and Make The Right Choice”. If Someone ask me to rate your presentation, I would have to reply with this statement “Above and beyond all we could ask or think. I recommend that everyone get the book! It's a winner. Thank you so much Kyri for writing this book. On Monday, August 18th, my grandson, Jaelen, age 11 , who is in middle school, came home after school, in trouble for talking, the next day, August, 19th, that morning I told him to stay focused & stay out of trouble. Well, he came home in trouble again, this time he got in trouble for talking in line and pushing a fellow student, he said the student jumped the line. Upon him coming home after school and me reading what the teacher wrote, I made him read your book, 'Simon the Self-Control Seal',he read it in 5 seconds, I knew he had just speedily rushed through the book so, when my other grandson, Jorden, age 4, came home from kindergarten, we sat down together and I read the book to them and every time in the book it would say, "Stop, think, and breathe and make the right choice!" I would make them say it out loud. Ok, day 3 - Wednesday, August 20th, Jaelen came home from school with a look of surprise on his face saying, "granny it works!" He told me he kept the words in the book on his mind, "Stop, think, and breathe and make the right choice!" When different situations arose during the day it helped him to stay focused and make the right choice. So Thursday passed ~ all is well, and thank God it's Friday, school day is over and done and ALL IS WELL Even Jorden has memorized the verse. Thanks again and keep up the good work. "When you're looking for the right words at the right time, you're looking for Simon the Seal. Kyri Demby has done a fabulous job of promoting the values so many of our families miss today in his entertaining story of Simon. After one reading my entire school had memorized the song and it left a lasting impression. We can't wait for his next book. Great book. The kids at.my son's school loved the song.